SSCAFCA has Completed Construction of a New Water Quality and Arroyo Improvement Project: the Bosque de Bernalillo Water Quality Project!  New Mexico Environmental Department River Stewardship Program for providing a Grant for an additional $139,867 toward the project! 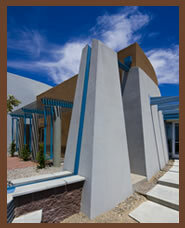 This project is located in Bernalillo, NM along Sheriff’s Posse Rd. approximately 0.25 miles south of US 550. 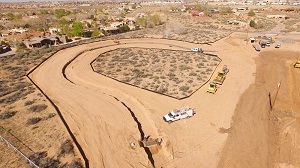 This new facility is located on the Coronado Arroyo, which conveys storm water from portions of the City of Rio Rancho and the Town Bernalillo, ultimately discharging to the Rio Grande. The water treatment portion of this site is being constructed approximately 900-ft upstream of the confluence with the Rio Grande. The WQ channel will include gabion basket side walls. 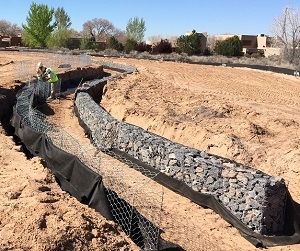 The gabion baskets are filled with basalt rock, a porous igneous rock, which will promote a “wicking” effect on the passing storm water and allow it to soak into the native soils and provide moisture to the native vegetation. The WQ channel will include a natural sandy-soil bottom. The soils in this area are naturally sandy in nature and have excellent infiltration rates. This sand acts as a natural filter for oils and other suspended contaminants commonly found in urban/rural storm water discharges. The longitudinal slope of the WQ channel is very flat in comparison to the main arroyo. This flat slope will work to reduce flow velocities and allow the storm water to infiltrate. The WQ channel outlet pipe, which conveys flow from the WQ channel back into the main arroyo, is set above the channel grade, creating a ponding effect which further promotes infiltration of storm water. Providing a more efficient, trapezoidal design of the arroyo to increase flow-carrying capacity and protect adjacent property and citizens from runoff resulting from the 1% Chance Annual Storm (100-yr Storm). Stabilizing the channel banks strategically with riprap armoring to reduce project cost and impact to the environment. Providing grade control structures to mitigate increased flows from future upstream development and preserve the channel’s “equilibrium slope”. Providing maintenance access for the arroyo (where there was previously none) in order to monitor the condition of this system and conduct annual maintenance as required. Designing a weather station and flow gauge to improve SSCAFCA’s in-house storm data collection and provide the public with realistic “on-the-ground” information on rainfall events.